Mystery Fanfare: Peter Dickinson: R.I.P. Sad News. 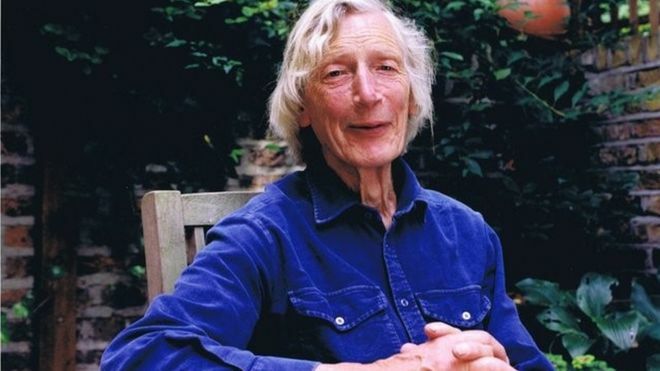 Author and poet Peter Dickinson died yesterday on his 88th birthday, following a brief illness. Peter Malcolm de Brissac Dickinson was born in Africa, and raised and educated in England. From 1952 to 1969 he was on the editorial staff of Punch, and then earned his living writing fiction for adults and children. He wrote almost 60 books in his lifetime and has been published in 53 languages around the world. Among many other awards, Dickinson has been nine times short-listed for the prestigious Carnegie medal for children’s literature and was the first author to win it twice for Tulku in 1979 (Open Road Media) and City of Gold in 1980 (Houghton Mifflin). He was the first author to win the Crime Writers’ Association Golden Dagger for two consecutive novels: Skin Deep in 1968 (Felony & Mayhem) and A Pride of Heroes in 1969 (Arrow Books Ltd). His books also won awards such as The Boston-Globe Horn Book Award for non-fiction, The Guardian Children's Fiction Prize, and The Whitbread Children’s Fiction Prize (in 1977 and in 1990). A collection of Dickinson’s poetry, The Weir, was published in 2009, a project his family helped him with for his 80th birthday. His last book, In the Palace of the Khans, was published by Open Road Media in 2012 and was nominated for the Carnegie Medal. Dickinson was elected a Fellow of the Royal Society of Literature in 1999. He has also served as chairman of the Society of Authors. He was awarded an OBE for services to literature in 2009.